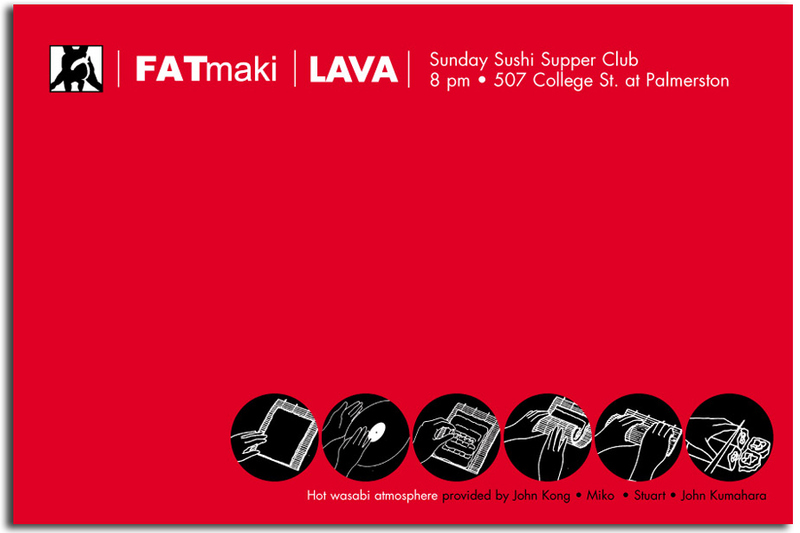 Branding for a Japanese food and music night at the Lava Lounge in Toronto. Toronto's legendary Lava Lounge hosted a Sunday night of sushi and rare Japanese club music. 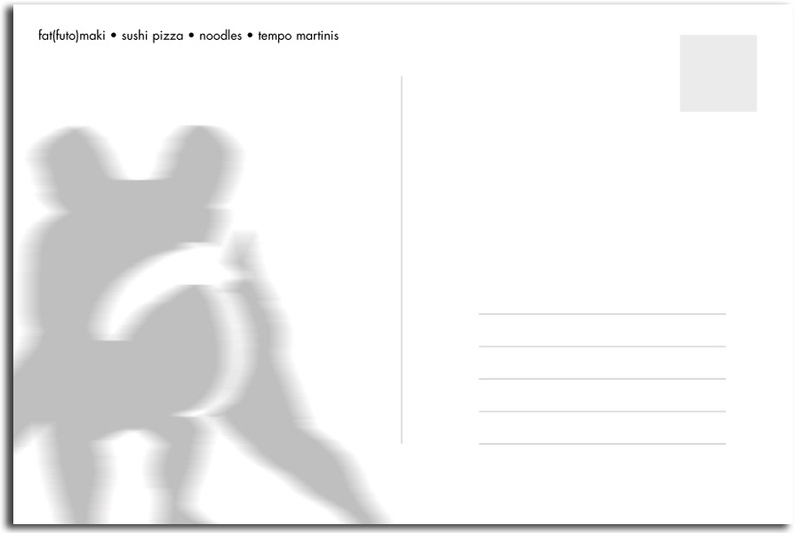 I created a logo, postcards and chopstick holders.